I did not want to make guinea pigs out of everyone, so that big bag of cranberries had to be opened for an experimental batch. So yesterday, I looked for a Cranberry Sauce recipe online, and to my disappointment, they all called for orange juice. We had none (we are not big juice drinkers, we are whole fruits fans), we did not even have oranges (I am not a fan of those either :S). “Need is the mother of invention”, right? I ogled our big bag of grapefruits, and decided to give it a go. After scavenging for recipes for a while, I adapted a really simple recipe that I found here. I made half a batch, since it was an experiment. 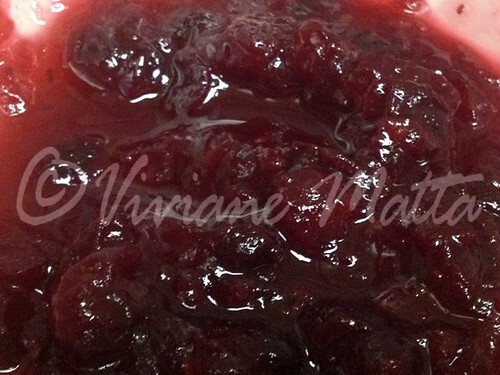 Lo and behold, the cranberry sauce met Clint’s approval, it had a nice deep red color and the perfect consistency. In a saucepan over medium heat, dissolve the sugar in the grapefruit juice. Cook for about 10 minutes or till the cranberries are cooked down and the liquid reduced a little. Remove from heat and place the sauce in a bowl. 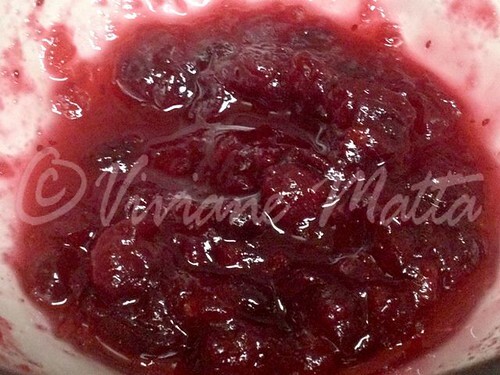 The cranberry sauce will thicken as it cools. That is all folks! 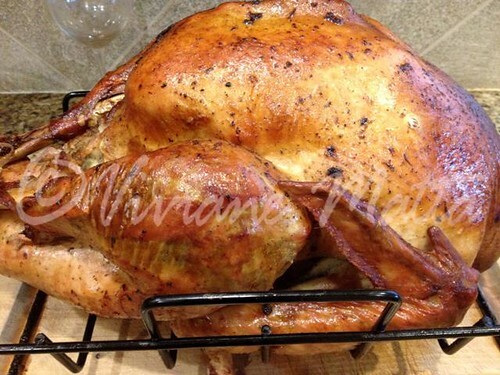 In the end I will leave you with the pictures of the gorgeous turkey my mother-in-law made last year! Happy Thanksgiving! 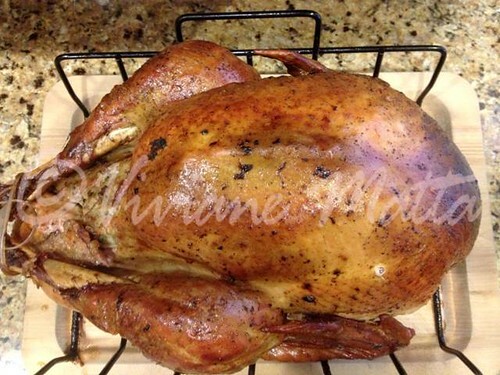 This entry was posted in Sauces and Dressings and tagged cranberries, cranberry, cranberry jelly, cranberry sauce, grapefruit, Thanksgiving, Thanksgiving recipe. Bookmark the permalink.